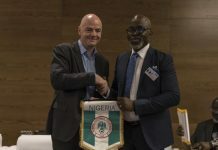 The Special Presidential Investigation Panel for the Recovery of Public Property has received praise for its drive to solve the mystery behind alleged missing billions of Naira at the Nigeria Football Federation (NFF). 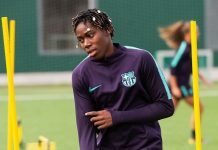 Footballlive.ng gathered that the panel has achieved “remarkable progress” in its investigation of a case of conspiracy and alleged diversion of public funds. The panel has been very professional and meticulous in gathering defining and compelling evidence in this case, an official remarked. “These are men of integrity who are committed to carry on with President Muhammadu Buhari’s fight against corruption. Their drive has been unprecedented and Nigerians should be hopeful that justice will be very well served. 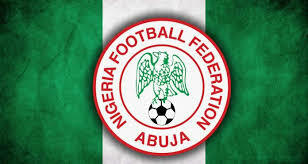 The panel has received several damning testimonies from relevant officials to underscore the allegations leveled against several top NFF officials. 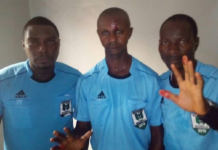 However, some observers have raised concerns with the sudden appearance of former Super Eagles chief security officer and Deputy Commissioner of Police Baba at the panel’s hearing yesterday. 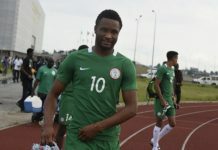 Baba is rumoured to have some friends on the panel and he was the one who accompanied LMC chairman and NFF 2nd vice-president Shehu Dikko when he appeared before the panel.